Deborah includes light freejumping in the program of all her young horses as part of the development of their minds and bodies. Quailhurst’s young gelding Elliott (Ferro x Inspekteur x Nimmerdor) has recently started his education in the jump chute and the verdict is in… he LOVES IT!!! From his first trip down the chute, Elliott was brave and eager and presented a round, athletic jump. He shows great balance and naturally keeps an even rhythm in his gaits to and from the fences. 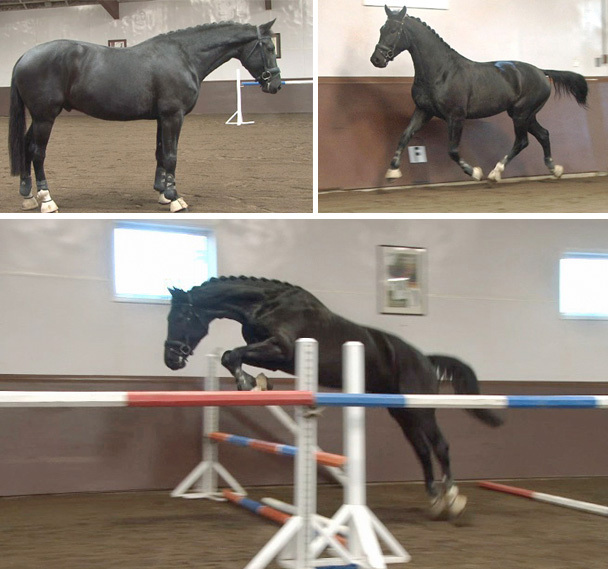 See more of Elliott jumping in the video below and visit his sales page here.